In November 2016 the Scottish Government officially recognised what we have long known – that beavers are a native species in Scotland and that those which have been reintroduced – whether intentionally or not – should be allowed to stay. In December 2017 the UK’s Secretary of State for the environment Michael Gove issued a ruling laying out the ground rules for future reintroductions of beavers in the UK, and capped it off by visiting an emerging population in Devon which just a few years ago which we fought the government to protect. This is encouraging and a huge victory for all those – particularly those in the Tay Valley and the River Otter – who have campaigned for so long or worked on reintroduction projects. Of course there is still some ways to go. While the Scottish government may have recognised the Tay animals as native, they are still removing beavers from other parts of the country. In England the Devon beavers remain technically on trial and other ‘underground’ populations occupy a legal grey area. However the direction of travel is good and recent moves strengthen the argument that beavers are being accepted as a native and protected species. But its implications of these shifts should go wider. 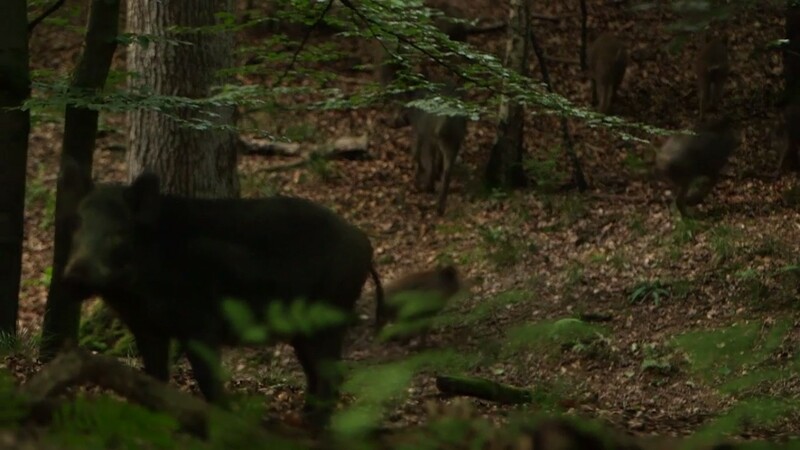 Currently there are hundreds of wild boar living, half legally, in the UK. Their most famous stronghold is the Forest of Dean, but there are also small breeding populations in Exmoor, Dorset, Kent and possibly elsewhere. They were even once spotted at Ashcott in the Somerset Levels, albeit more than 10 years ago. Like the beavers these are a native species which were wiped out for a few hundred years but which are now back in the wild. The UK (and Scottish) governments, should grant them full native status. Critics will argue that as they have not been reintroduced in a formal programme they cannot be considered native. This is nonsense, something the Scottish government has tacitly accepted by extending ‘native’ status to descendants of beavers which escaped in the Perthshire, as well as those of the ‘official’ reintroduction project in Agryll. More importantly, at a time of biological crisis, when species and populations are falling at a catastrophic rate, we should look to our rules to help wildlife, not use them to throw up arbitrary barriers. 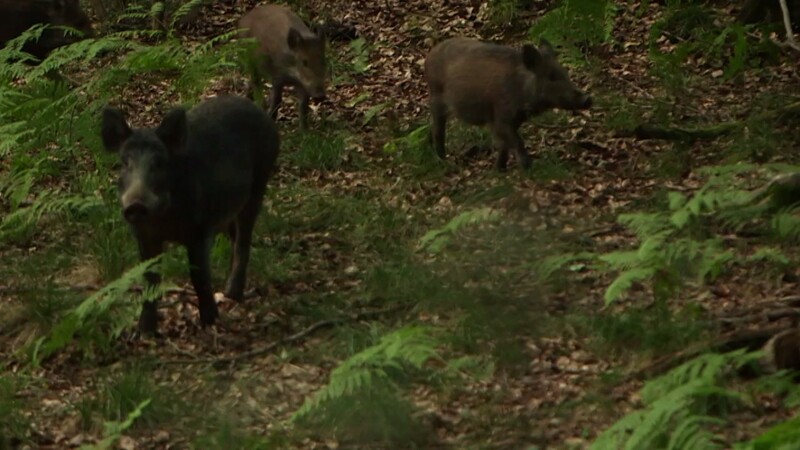 Wild boar are native to most of the UK. After an absence of a few hundred years they have returned to several areas. How they came to do that seems, in the grander scheme of things, largely irrelevant. They are the right species in the right place and they are living and breeding and spreading. We should be happy about that and give the protection and the respect they deserve. 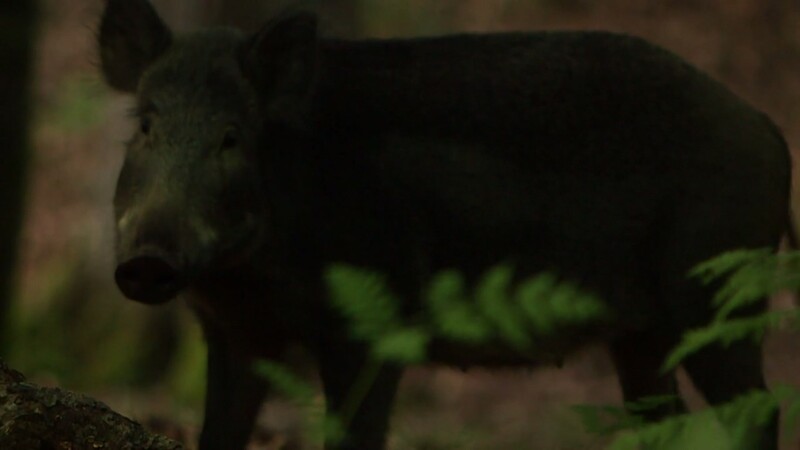 Like the beaver the return of the wild boar will bring many benefits. They are good for biodiversity. The wallows they excavate benefit amphibians and insects. Their rooting spread seeds and breaks up bracken and exposes fresh soil for other animals. They open up the forest floor. In semi-wetland environments like the Levels where they would once have lived, they would likely help with plant and insect dispersal and create new scrapes and ponds through their rooting. They are also, when you see them up close, rather beautiful. Standing around a meter tall, they are slim and elegant, quite unlike domestic pigs. Put simply we would be enriched by having them in our lives. 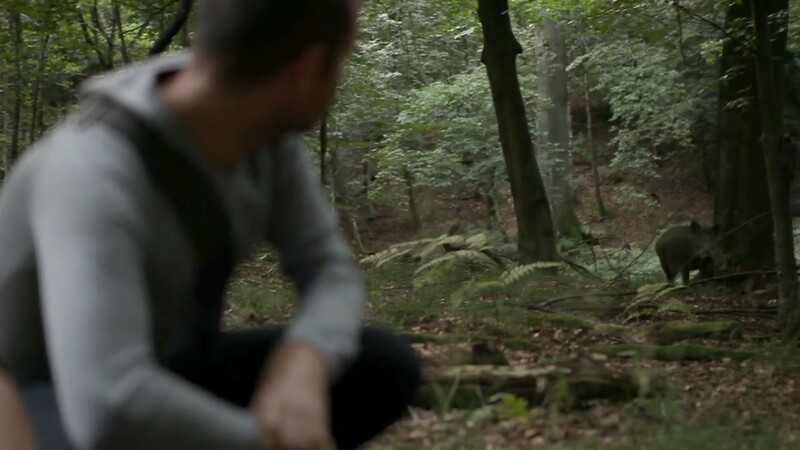 Here are some screen-shots I have made of a family near the Forest of Dean in England, from footage we shot a few years back (courtesy of Hand-Crafted Films). Sections of this blog were first published on themushypea.blogspot.com in November 2016. 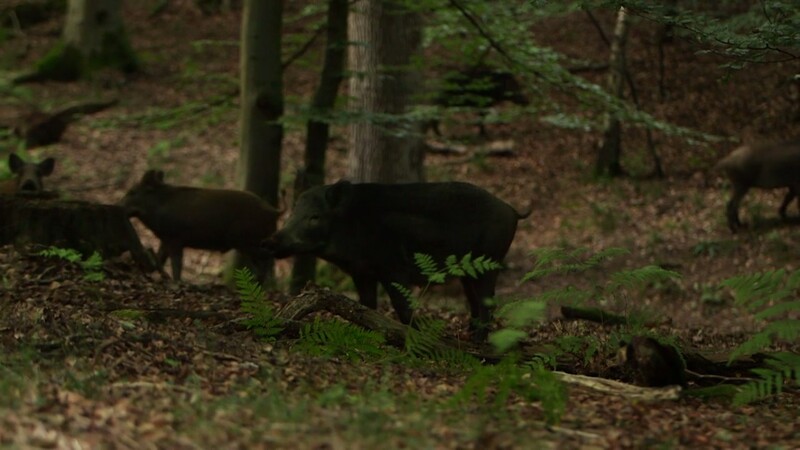 Wild boar would once have lived in the Somerset Levels and could do so again.